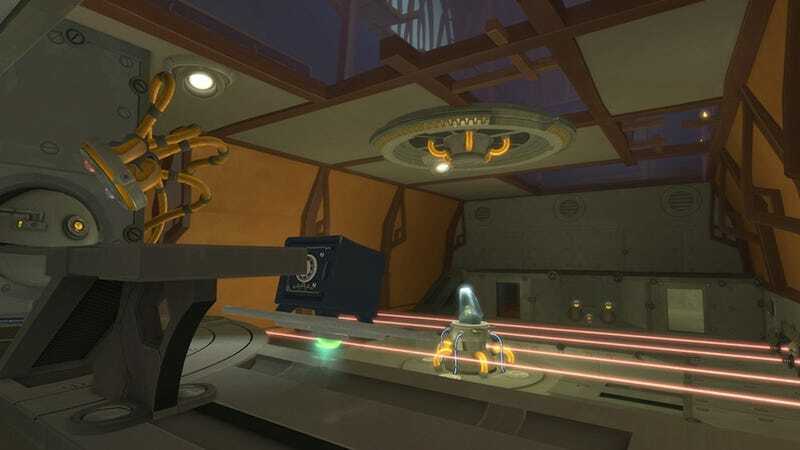 Delightful puzzler Quantum Conundrum will receive two new downloadable content packs this summer, publisher Square Enix said today. Pack one, The Desmond Debacle, sticks you in a new wing of the Quadwrangle Manor to solve puzzles that center around the drinking bird Desmond. Pack two, IKE-aramba!, tasks you with rescuing the adorable Interdimensional Kinetic Entity (IKE), also in a new wing of the manor.